Alex Fedotoff blew my mind with his knowledge and understanding of Facebook Ads, and you will be blown too. 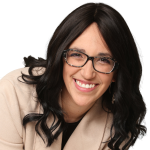 Tune in to hear some of the top secrets on how to set up your Facebook Ads Campaign for best results and lowest cost per click. In this episode, Alex covers everything you need to know about Facebook ads, including how to create the right ad, targeting your ad at the right audience and how to get the lowest cost per click. If you plan to spend even one dollar on Facebook Ads, you have got to listen to this episode first! Alex Fedotoff is one of the leading Facebook advertising strategists for e-commerce brands. His agency AF MEDIA helps brands to scale massively using results-oriented, direct response advertising. Huffington Post calls him one of the foremost Facebook advertising experts in the world and The Next Web calls him a marketing specialist with one of the highest ROI-producing Facebook formulas amongst advertisers. Grew up in the Ukraine, where he spent five years getting his masters in economy and accounting, but didn’t find much fulfillment from his learning. Realized that he could make more money freelancing for people abroad, but didn’t have the skills or knowledge – and nor did he speak English. Started teaching himself SEO, Google Ads and Social Media management using online tutorials. Created personal profiles on various online freelancing platforms such as Elance (now Upwork) and started getting jobs. Agreed to take on every job that came his way, figuring out how to do the jobs as he went along. Decided that he wanted to focus on one specific area and chose Facebook Ads. Built up a Facebook community (which currently has over 26,000 people) to help people who needed advice, but that community eventually became the medium for the bigger clients to reach him. Slowly picked up momentum, getting bigger and better jobs, until he reached his current stage where he has seven employees and a thriving Facebook Ads business. When creating your message, identify a competitor in the same or a similar market who is running a successful campaign so that you can pick up tricks from them. The purpose of this is to get proof of concept i.e. that your message is reasonable and attractive. You then need to create your ad, making sure that it conveys your message or offer clearly, but in a way that is suitable for your audience and platform. Facebook is a place where people hang out to catch up with friends and get news and updates. They don’t come here to buy, so your ad should grab attention, give good value and show quickly and enticingly how your product will benefit their lives. Make sure you ad is not too “sales-y”. If you operate in a competitive niche, your ad should convey your competitive advantage (what you do better than others) in less than 20 seconds. Once you have created the perfect message, you now need to find your target market. Start by targeting a very broad audience, using just a few metrics. For example, you could target an audience by telling Facebook to show your ad to women, age 30-45, who are interested in cooking. Facebook will then refine your target audience for you using your pixel (a piece of code that allows Facebook to track what customers do once they click through to your website), by tracking who is clicking on your ad and actually buying your products. When defining an audience for e-commerce, don’t limit your audience to a small location. Even if all your sales come from a very local area, don’t feed that information to Facebook. Facebook likes more data, more money and they like to do it themselves. Therefore, the best approach is to give Facebook very general guidelines and let them use their own learning curve to find your audience. All the information that Facebook figures out is available on your dashboard. At this point you have a powerful message and a clear picture of your market, but you still need to test out your market to determine the best ad campaigns for your company. Create 5-10 different audiences and show each one a few variations of your ad (different images, thumbnails, copy). Next, monitor how well each one performs. With this method, you can have 200 ads running simultaneously, but you keep costs down by killing ads that don’t perform and scaling ads that do. The best way to manage a campaign like this is to give each audience a budget of about $20. If an ad reaches that budget without converting, kill that ad. On the other hand, if an ad is doing well, scale it very quickly. If all of them don’t perform, you’ll need to rework your message. At this point, the only thing left to do is figure out how to leverage Facebook’s ad system to get the lowest cost per click and highest value for money. Facebook will decide whether or not to display your ad based on your bid amount as well as your ad rating. Facebook has two primary concerns that it takes into account: user experience and value for advertisers. When competitors bid for an ad, Facebook considers how relevant your ad is and how well it resonates with your audience. A relevant ad improves user experience and therefore Facebook will show your ad more often. A great ad means a high click rate, which helps you to win more ads with that audience. Facebook will then charge you less per click for future ads, ensuring value for their advertisers – and continued advertising. Finding the right audience and showing them a relevant, compelling ad is the key to getting cost per click down. 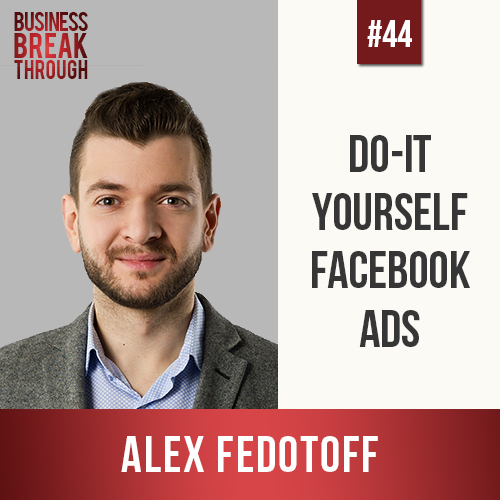 Alex was so fascinating and he shared so much incredible value with his advice on how to run and manage Facebook Ads campaigns, that we did not get time for his struggle and breakthrough! KISS: Keep It Simple, Stupid.